Wandiligong is a quiet community 6 km south of Bright. Its population is about 250 people who work in the apple orchards and small holdings, its cottage industries and in the neighbouring districts. Established in the 1850s during the Victorian gold rush, it was at one stage home to over 1000 people with schools, public library, churches, shops and hotels. Several trails lead down to the diggings turned over in search of gold, which ran out by the end of the century. The whole town is now registered with the National Trust as a historic landscape and features historical buildings such as the Manchester Unity Public Hall (built in 1874), the general store, several churches and a number of quaint cottages. Main attractions of Wandiligong are Australia’s largest living hedge maze, the largest apple orchard in the southern hemisphere, historic buildings and the Alpine Park, and The Wandiligong Nut Festival. There are several walks as well including the Wandi Wander, Royal Bridge Walk and The Diggings Walk with its Chinese Swing Bridge giving a hint to some of the locals of old. We visited Wandiligong Maze, walked the Diggins Walk on the first day of your visit and went to the Wandiligong Nut Festival next day. 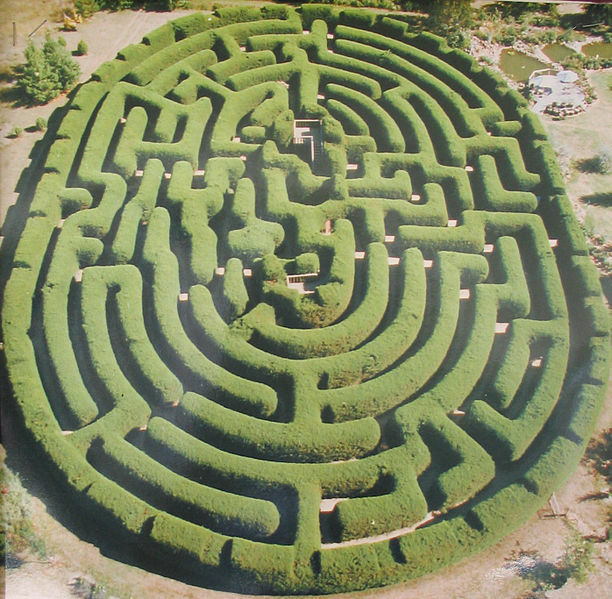 Wandiligong Maze is Australia's largest living hedge maze (according to its website) with 2km of pathways, surrounded by gardens. It was fun for our son to look for two rose bushes and towers, however after a while we used ‘secret’ doors to find the things that we were looking for. I think it is a good idea to visit the maze with kids and have a picnic after a while near the maze at Rustic Rotunda Giganta. After the maze we went to The Diggings Walk to see Wandiligong Chinese Bridge, which was crafted with a traditional Chinese design, across Morses Creek to commemorate the contribution of the Chinese miners. Quite pleasant walk near the creek. We saw a lot of cyclists and thought that it might be a good idea to cycle here sometime in the future. Next day in the afternoon we went to the Wandiligong Nut Festival. My goal for this festival was to buy some nuts and get back to Bright soon, but we stayed in Wandiligong for almost four hours till the festival was going to close. I realised that I love such festivals/farmers markets for their great atmosphere, friendly people, opportunity to talk to the producers and relax listening to live music. If you look for more photos, you can go to the festival’s facebook page.